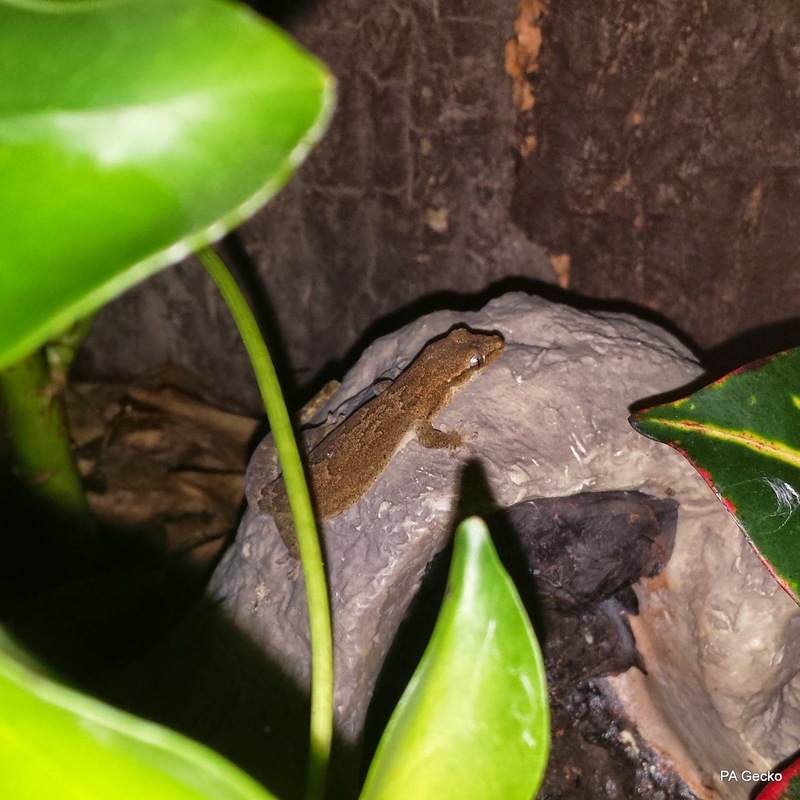 In 2014 we also acquired some Mourning Geckos, these are a very cool species! These geckos are only a handful of geckos in the world that are Parthenogenic; meaning they require no males for reproduction. 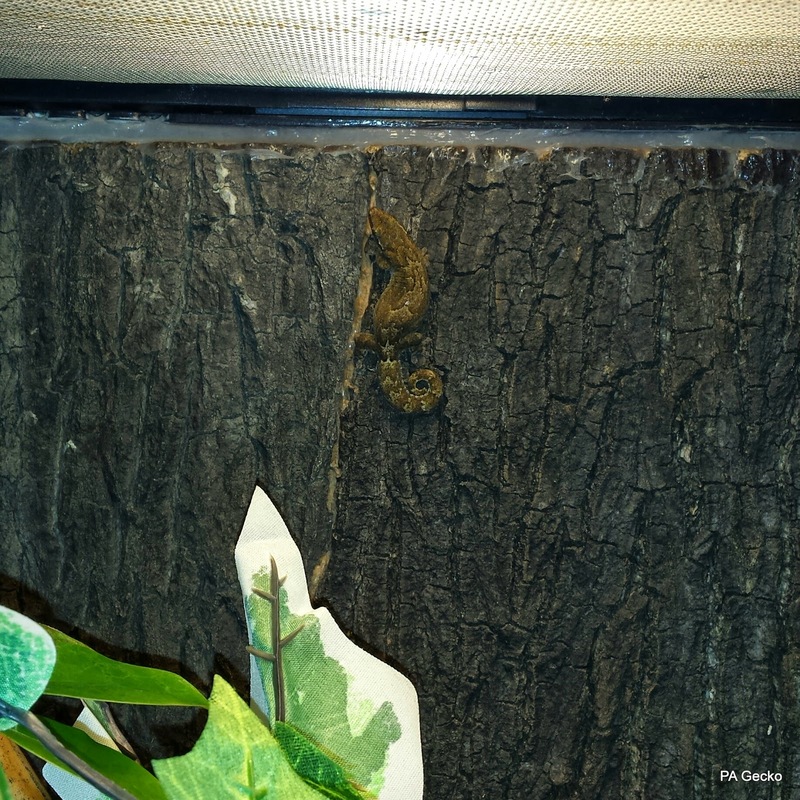 Mourning Geckos are nocturnal, however, we commonly find ours basking under the light early in the morning. They are very social, although their territory is clearly divided in the enclosure. When they run for cover, each one has its own safe place. 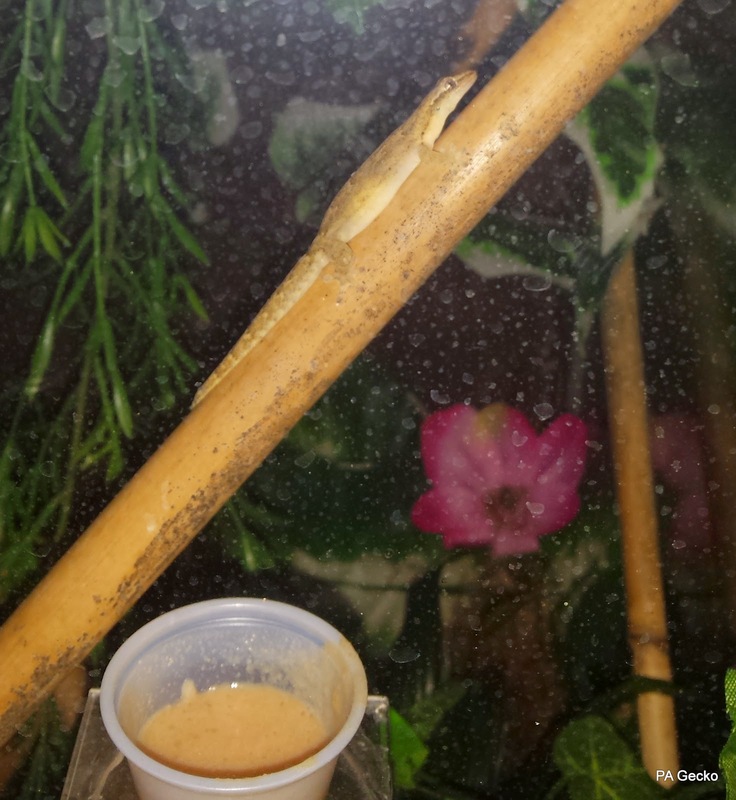 They are very hardy little geckos and are very easy to care for. 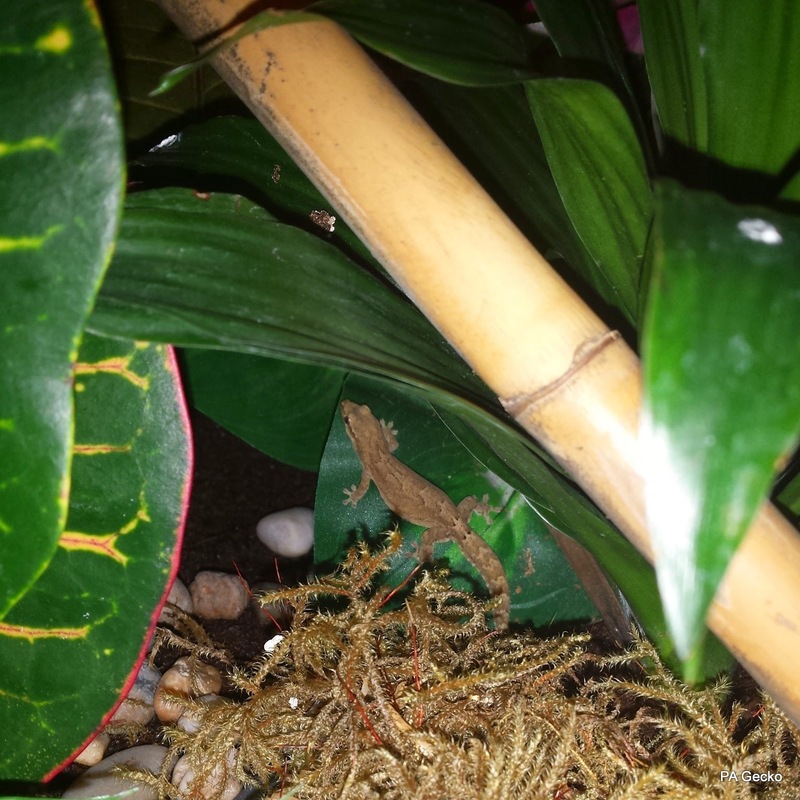 We keep ours in a large Exo Terra enclosure with live plants, fake flowers, vines, and tons of bamboo for them to climb on. Temperatures are kept between 70 and 80 degrees F during the day with a nightly drop into the high 60's. They require a high humidity, between 60-80%, so we achieve this by misting the enclosure once in the morning and once at night. For feeding, we use a mix of Pangea CGD, pinhead crickets, and Dubia nymphs. 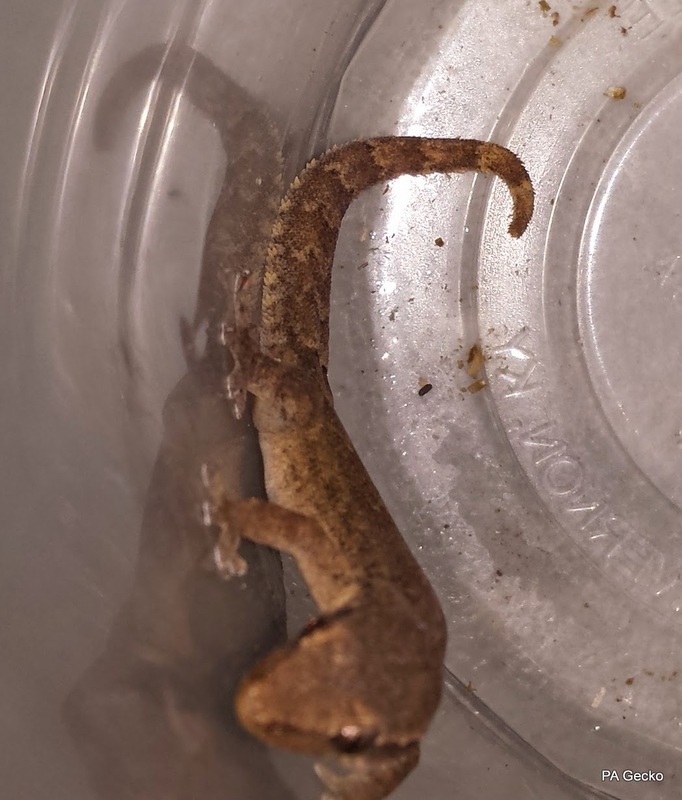 If you're looking for a fun and unique gecko, Mourning Geckos are definitely worth a look!